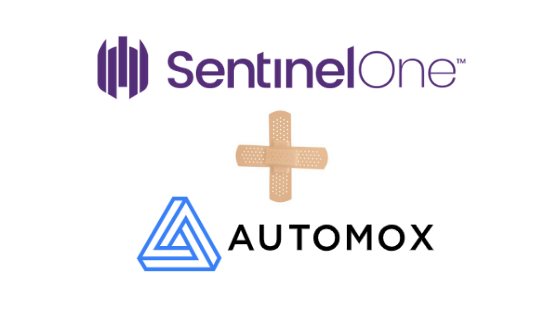 Mountain View, Calif. – March 28, 2019 – SentinelOne, the autonomous endpoint protection company, and Automox, a global provider of cloud-based automated patch management and configuration management solutions, today announced a strategic partnership that allows SentinelOne customers to automate vulnerability patching across their enterprise environment. Joint customers will be able to enforce and automate basic cyber hygiene by ensuring all vulnerable devices and applications are up to date and patched. Automox and SentinelOne will be demonstrating this unique capability in a new webinar SentinelOne and Automox: Automating April’s Patch Tuesday on April 16th, 2019. Unpatched and misconfigured systems represent a massive weak spot in enterprise security representing 80 percent of the corporate attack surface. Some of the world’s most devastating data breaches, including Equifax and SingHealth, were driven by the failure of the organizations to patch known vulnerabilities. Through this partnership, SentinelOne and Automox are empowering customers to rapidly enforce proper cyber hygiene by automating the process of patching OS and Third Party software vulnerabilities through the SentinelOne endpoint protection platform.